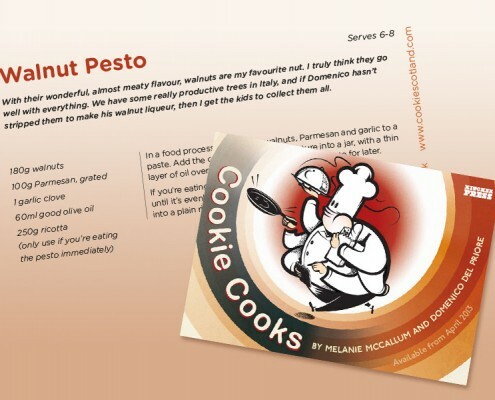 Cookie is a restaurant in Glasgow which has an open kitchen at its heart, featuring seasonal cooking and a fusion of Scottish and Italian food traditions. 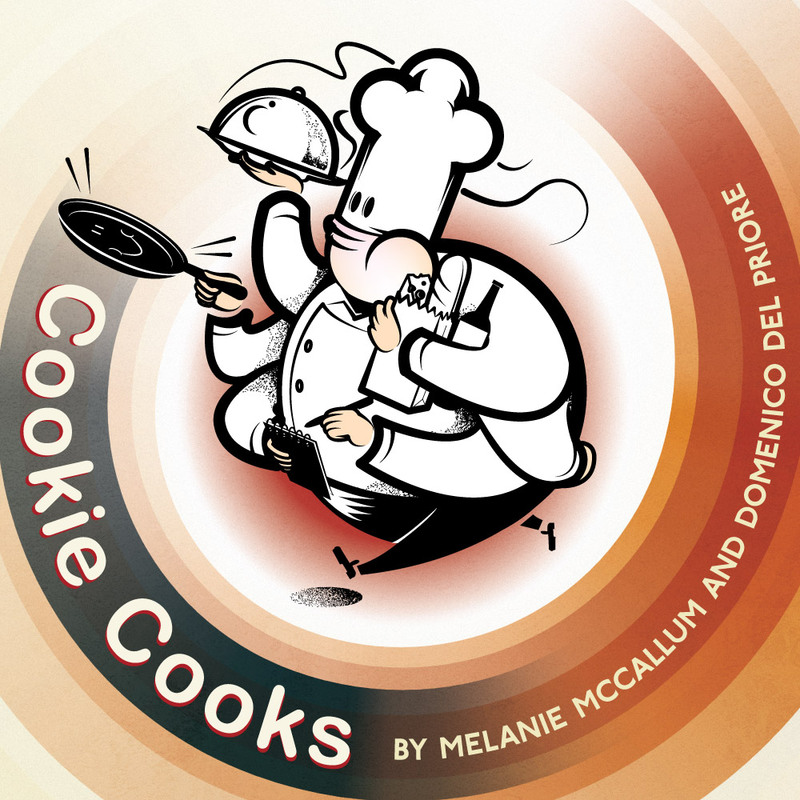 Cookie Cooks brings together the restaurant’s most delicious recipes, and tells the story of cooking between two countries. 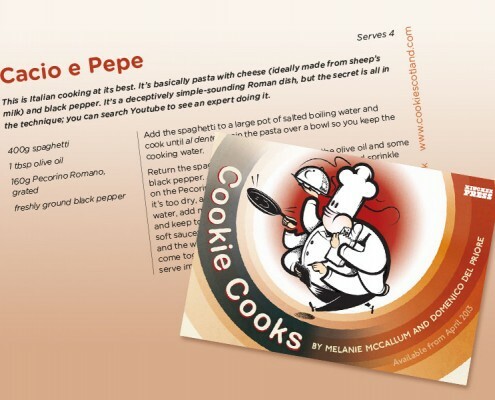 Melanie and Domenico are Scottish and Italian respectively, with a family here in Scotland and another home with a large, productive olive grove in Umbria, Italy. 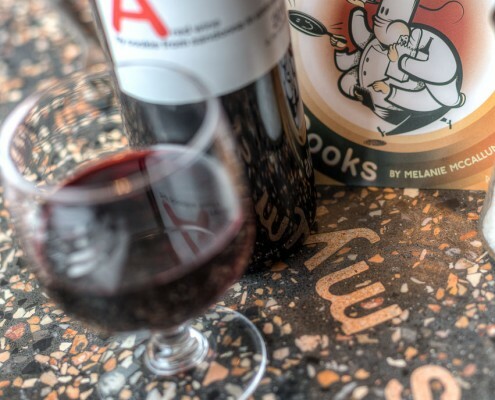 The things that set them apart as restauranteurs are their dedication to genuinely local, artisan ingredients (they use everything from their own olive oil to local southside honey), and their passion for sharing knowledge and recipes, traditions and culture. 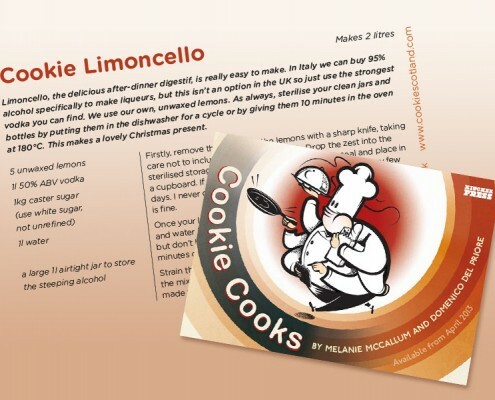 Cookie Cooks traces the story behind their food: from the classic southern Italian recipes cooked by Domenico’s father Bruno to Melanie’s allotment cooking, via home-made fishfingers and Grandma’s rowan and crab-apple jelly – the book is all about how families eat and how food traditions fit with contemporary life. Fresh, simple recipes, that make it easy to eat well. 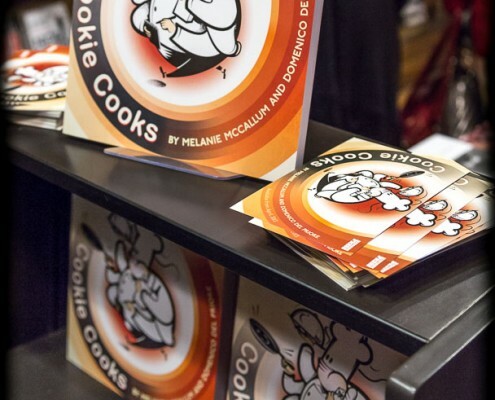 With illustrations by Glasgow-based graffiti artist Conzo Throb, Cookie Cooks is as much of a pleasure to read as it is to cook from. 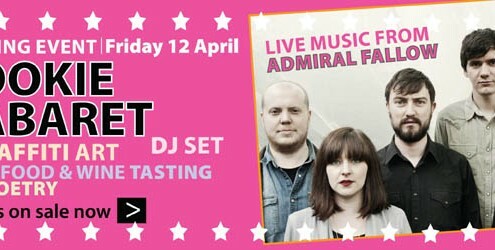 Cookie Cooks launch party - Cookie Cabaret! 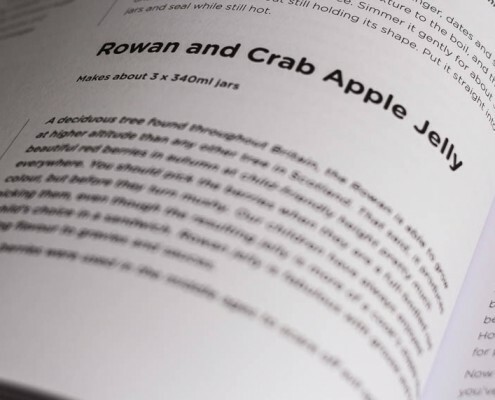 http://www.kitchenpress.co.uk/wp-content/uploads/2013/04/cookie_cooks-1.jpg 851 608 headchef http://www.kitchenpress.co.uk/wp-content/uploads/2013/09/KP-web-header-2.png headchef2013-04-13 20:00:072014-01-20 22:23:47Cookie Cooks launch party - Cookie Cabaret!